Max Bachmann was born in Brunswick, Germany, in 1862, emigrated with his family to New England, and was living in New York by the mid-1890s, the city he would call home for the rest of his life. Somewhere along the line, he received training in the sculpting arts. 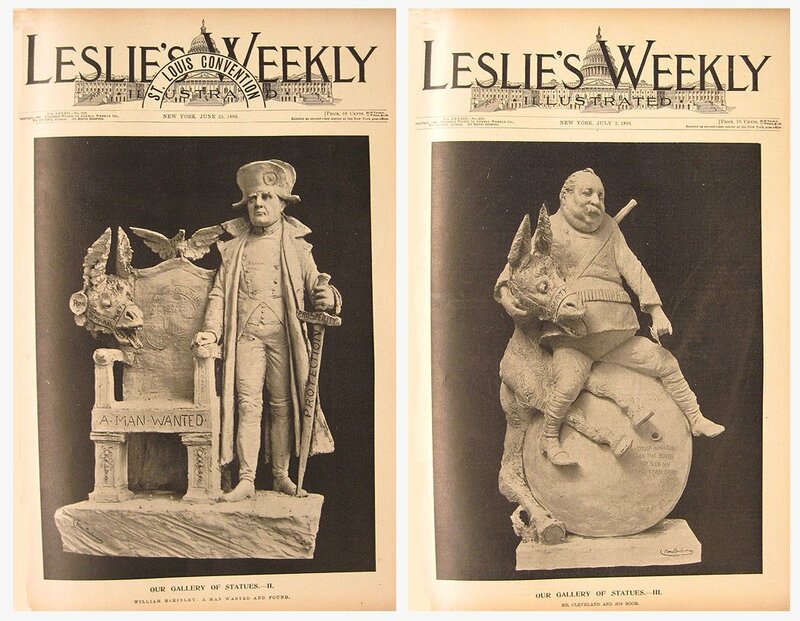 Though some of his pieces had been displayed at the 1893 Chicago World’s Fair, he was little known in 1896 when he began contributing political cartoon sculptures to Leslie’s Weekly Illustrated, which printed them large scale on the front page. While we know the sculptures were made of clay and then photographed, and that they were so hastily done that the backs of the sculptures remained unfinished, we do not know anything about their size. Were they one foot high? Four feet high? Leslie’s Weekly never says. Bachmann’s contribution was special. 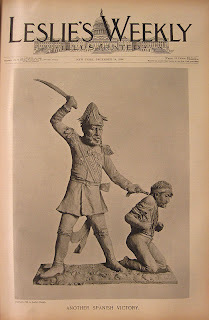 Political cartoon sculptures were never a featured part of an American political campaign before Max Bachmann’s work and have never been a featured part since. 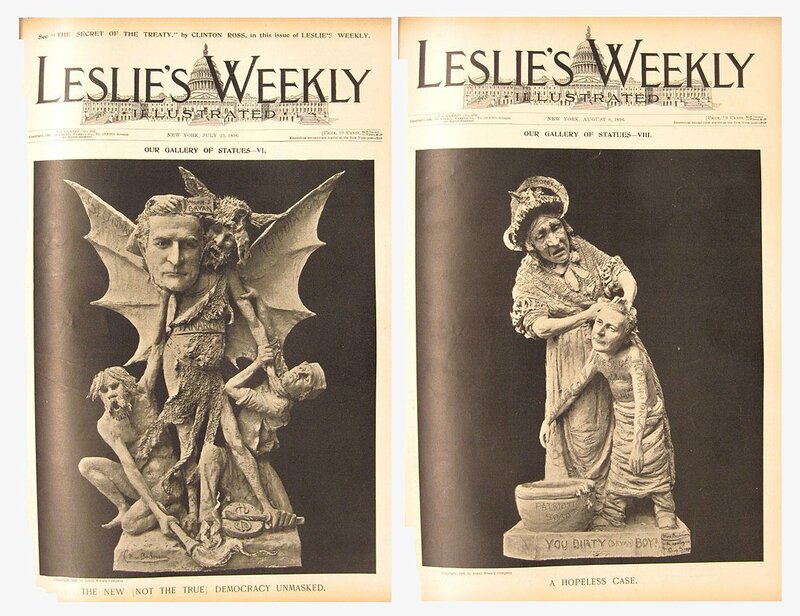 Leslie’s Weekly, June 25, 1896. [#2] William McKinley: A Man Wanted and Found. / Leslie’s Weekly, July 2, 1896. [#3] Mr. Cleveland and his Boom. 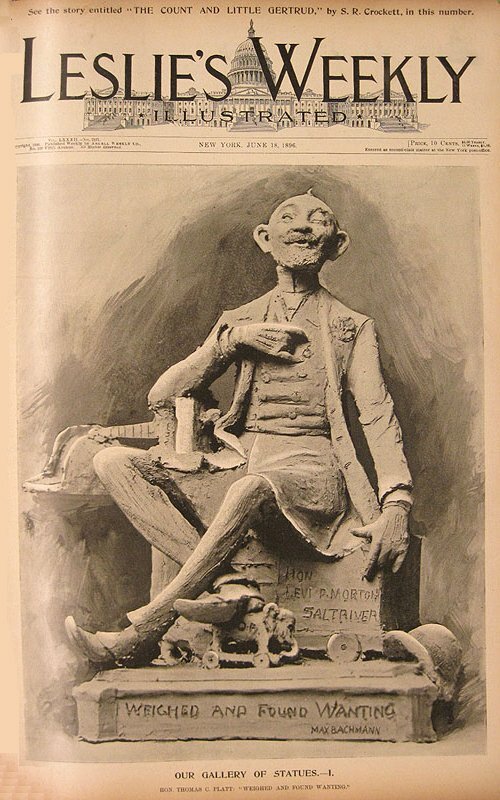 His first sculpture, depicting New York Republican boss Thomas Platt, appeared on the cover of the June 18, 1896, issue. Thereafter followed twenty-three cartoon statues, one every week. 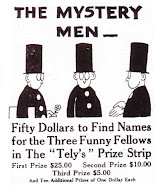 Three depicted a heroic Republican presidential nominee William McKinley, but many more (a total of fifteen) were reserved for demonizing or belittling the Democratic nominee William Jennings Bryan. 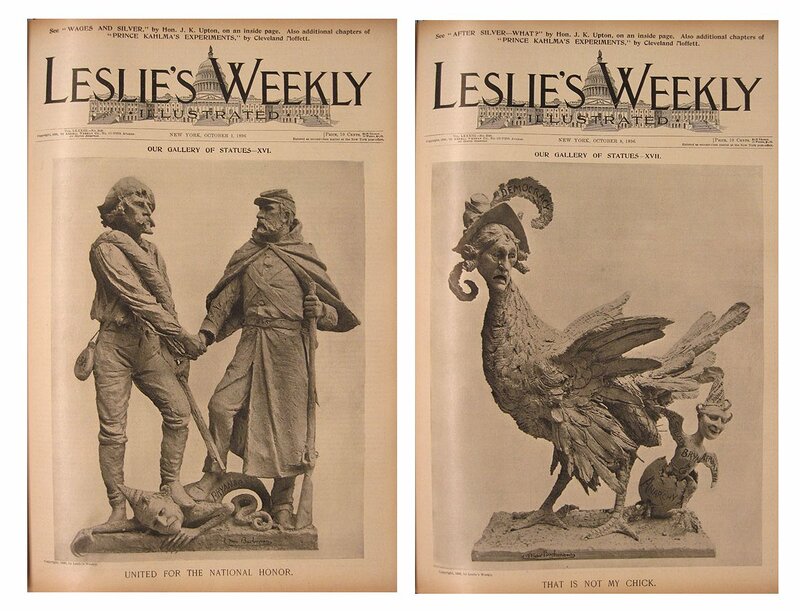 Leslie’s Weekly, July 23, 1896. [#6] The New [Not the True] Democracy Unmasked. / Leslie’s Weekly, August 6, 1896. [#8] A Hopeless Case. 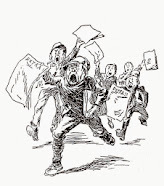 Bachmann’s broadsides were a major part of a much larger campaign conducted by almost the entire journalism community (Hearst’s New York Journal was the only powerful exception) to paint Bryan and his followers in the most extreme light and frighten undecided voters away from the Democratic party. Bachmann’s sculptures and the larger effort were successful. McKinley won in a landslide. Bachmann’s work was recognized as groundbreaking by the press of the day. 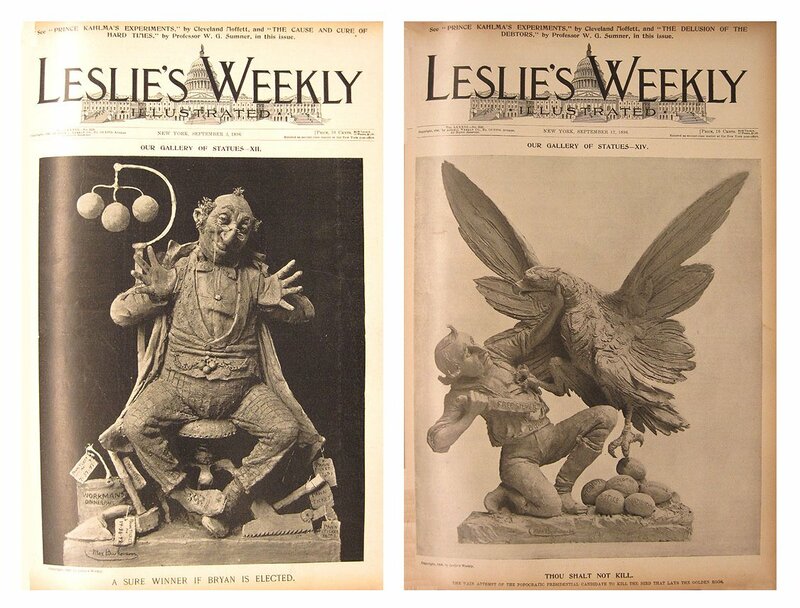 Leslie’s Weekly, August 20, 1896. [#10] A Modern St. George and the Dragon. / Leslie’s Weekly, September 3, 1896. [#12] A Sure Winner if Bryan is Elected. Leslie’s Weekly, September 17, 1896. [#14] Thou Shalt Not Kill. The Vain Attempt of the Popocratic Presidential Candidate to Kill the Bird that Lays the Golden Egg. / Leslie’s Weekly, October 1, 1896. [#16] United for the National Honor. As a coda to the campaign, Bachmann contributed one last cartoon sculpture in December on the plight of Cuba under Spain’s harsh rule. It would prove to be the starting gun in the next great contest: the Spanish-American War of 1898. Leslie’s Weekly, December 10, 1896. Another Spanish Victory. 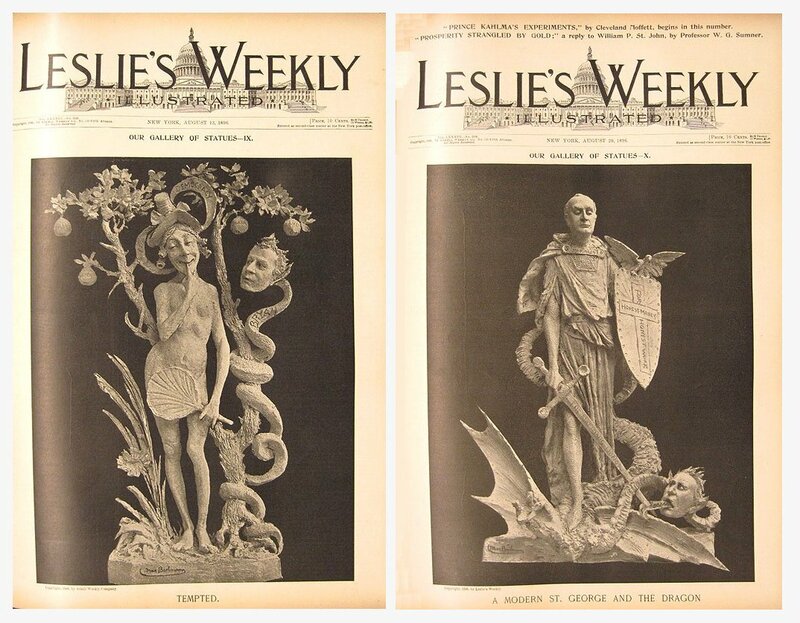 After his stint with Leslie’s Weekly, Bachmann gained a reputation as an architectural sculptor. In 1899 Joseph Pulitzer commissioned him to design allegorical figures representing the seven continents for the Pulitzer building on Park Row. His busts of an American Indian (1902) and of Lincoln (1905) are still widely celebrated. From the earliest days of filmmaking he was called on to supply work for the movies. In the midst of an active and successful career, he died of pneumonia in January 1921 at the age of 58. * Richard Samuel West’s latest book ‘Iconoclast in Ink; The Political Cartoons of Jay N. “Ding” Darling’ can be purchased HERE.